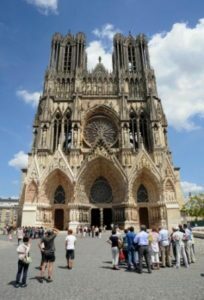 In the morning, take the Eurotunnel from Folkestone to Calais in one car, and from here drive approximately 2 ½ hours to the magnificent city of Reims. Upon arrival in Reims, check into double Tradition rooms at the 4* Hotel de la Paix, enviably located in the heart of the city centre just off the main square. The remainder of the day and evening will be free for you to do as you please. You may wish to relax and enjoy the hotel’s superb facilities. Alternatively, you may prefer to wander across the city centre, exploring the excellent range of shops and boutiques. Today you will visit two estates within walking distance of the hotel. The estates are located around 20 minutes’ walk from Hotel de la Paix, so you may like to ask the hotel reception to call a taxi for you on the day. 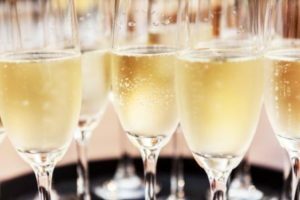 You will enjoy a full tour of the cellars and estate of the prestigious Champagne GH Mumm, followed by a flute of Mumm Champagne. There will be free time for lunch in Reims. In the afternoon, you will be welcomed for full tour of the cellars and estate of the prestigious Champagne Taittinger, followed by a flute of Taittinger Champagne. 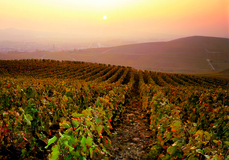 Today will be free to explore Reims, the city of Kings and the gateway to Champagne. Reims is home to no less than three UNESCO world heritage sites including one of the finest gothic cathedrals in northern Europe where 25 Kings of France were crowned. In the evening a delicious three course dinner will be served in a local restuarant, accompanied by a flute of Champagne. The total price of this package, based on 2 people sharing a double or twin Tradition room at 4* Hotel de la Paix is £295 (GBP) per person and includes return Eurotunnel crossings for 1 car, 3 nights’ bed and breakfast accommodation, tours and tastings at 2 Champagne Houses, and a 3 course dinner with flute of Champagne.